Sandwiched between a Sainsbury’s Local (left) and a Tesco Express (right), Urban Espresso is so small that it really is a case of blink and you’ll miss it, although it does a good job with the signs, plus the long, thin A-board (which matches the long, thin internal dimensions). It’s on the opposite side of Waterloo Road from the low-level entrance to Waterloo Station. For those who know the station, this is opposite the low-number platforms and down the escalators, or turn left if you come up from the Jubilee Line to the main concourse. As I’ve said, it’s long and thin, hardly more than the door’s width wide, with the counter at the back, although there’s plenty of space beyond the counter, which at least gives the staff some room to work in. To the left, as you enter, a pair of shelves occupy the wall space, with a small retail selection on top. Beyond this, on the counter top, is a display cabinet with the cakes and sandwiches. There’s a comprehensive menu hanging from the wall between the two shelves, while on the right, the coffee menu is written on the tiled wall for quick access. You order and pay at the till on the right and your coffee, if you’ve gone for something espresso-based, is made on the three-group La Marzocco Linea behind the counter to the left. Alternatively, you’ll be handed a cup of the batch-brew. The espresso is always the Brazilian Boa Vista from Union Hand-roasted, with a regularly-changing guest roaster on batch-brew. While I was there, it was the turn of Brighton & Hove’s Small Batch. A variety of beans are bought in (there were single-origins from Ethiopia, Burundi, Colombia and Brazil during my visit) and these are all available to buy in retail bags, with the actual selection on batch-brew changing daily. The guest roaster changes every couple of weeks, although it can be quicker if they go through the beans before then. 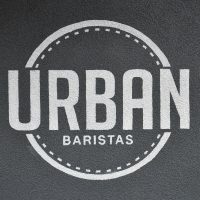 Although Urban Baristas is designed for the grab-and-go customer, the staff are lovely and friendly, so do stay and chat if you can. Sadly, I was only there for a flying visit, otherwise I would have sampled more of the coffee. As it was, I had a flat white in my Eco To Go Cup, a lovely, smooth coffee that set me up nicely for the rest of the day. This entry was posted in Cake, Coffee Shops, Retailers, Sandwiches, Saturday Short, South East London, Stations Nearby, Takeaway and tagged include, Union by Brian Williams. Bookmark the permalink.